Does your child have a bad case of puppy love? Are you looking for an unforgettable birthday celebration? Consider throwing him or her a tail-wagging birthday party at DogAbility. If you're looking to give your child the birthday of a lifetime, look no further than DogAbility. 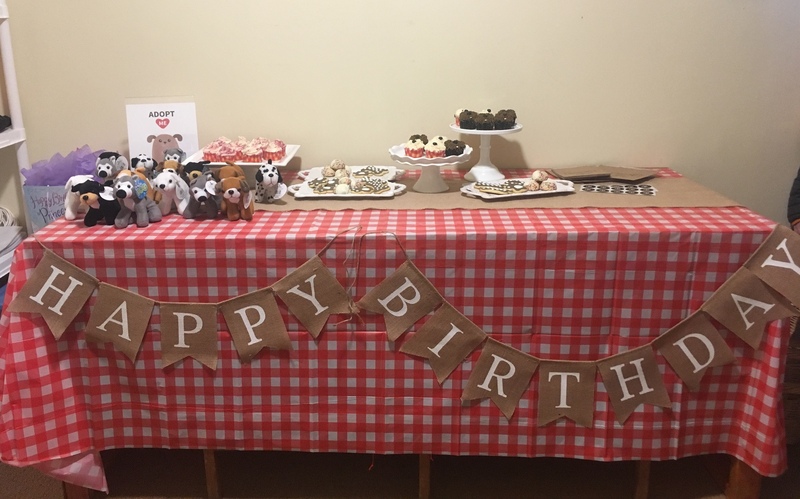 We strive to provide a top-notch birthday experience for your child with one hour of hands-on interactive fun with our dogs followed by a half hour for refreshments. All of our DogAbility certified canine teams consist of experienced handlers and their own dogs. When not providing affection and companionship to those in need, they are actively engaged in the lively activities with children. 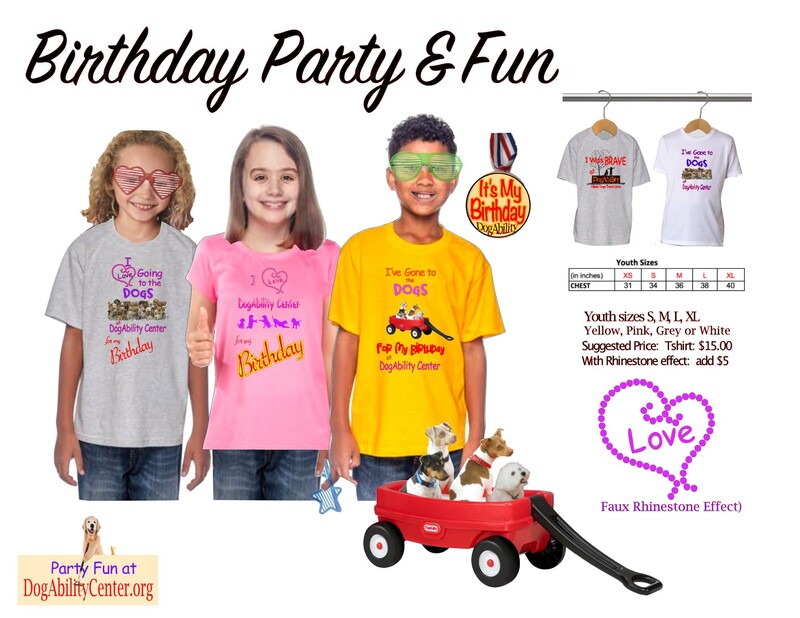 Your party guests will be eager to participate with our gentle, loving dogs in a variety of fun and games that include wagon rides, tricks and games, and running through tunnels and over jumps. Just a $100 deposit will secure your reservation. The deposit is applied to the party price and fully transferable if cancelled 30 days before the event date. $400 for the first 10 children – the birthday child is free. Pizza is extra -- $16 per pie (delivered from a local restaurant). You provide the cake, drinks, candles, tablecloths, forks, spoons, and party favors. Email us to book your child’s party now! Our weekends book up quickly, so please plan ahead. COMMEMORATIVE T-SHIRTS AVAILABLE FOR PURCHASE. Please contact us for details.